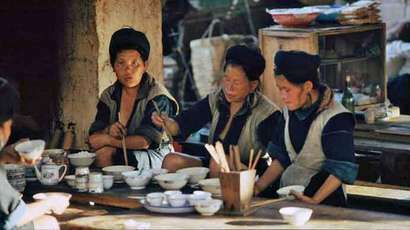 As well as Europe that has its mighty Alps, Southeast Asia has its Fansipan which is attractive to both domestic and foreign tourists. This mountain’s top is an ideal place for young people who enjoy taking photos and conquering challenges. 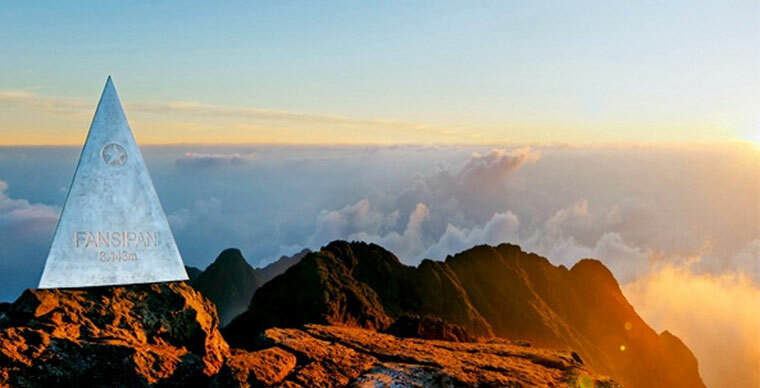 Having its 3,143-meter altitude which is the highest among mountains of Laos, Cambodia and Vietnam, Fansipan is said to be the ridge of Indochina. 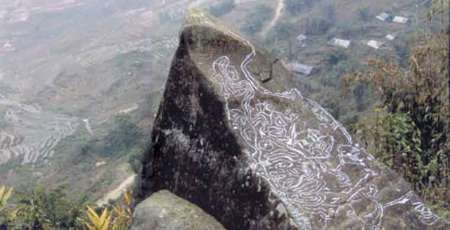 It is among mountains in Hoang Lien Son mountain range in Lao Cai and Lai Chau provinces. 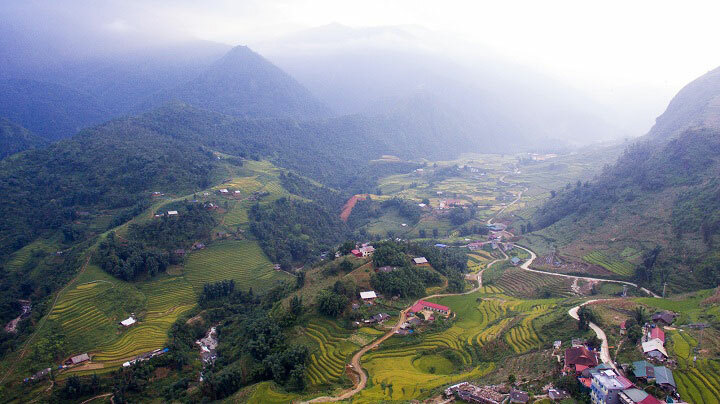 It is about 10 km away from the rooftop to the southwest of Sapa town. Thanks to rich and varied ecology system, Fansipan Vietnam has beautiful sceneries and great ecological value. + From the foot of the mountain up to the height of 700m, Fansipan Vietnam carries tropical belt which stores flora-rich forests with many kinds of trees such as jackfruit, rice in thick density, large trees and vines. In this climate belt, there is also heavy rain all year round. + From 700m to 2800 is there existence of subtropical ecosystem where seedless plants such as Fokienia or big trees cost three or four people to fully embrace and they are hundred-year-old trees whose heights are up to 50 to 60 meter. There are also other precious trees such as: red pine, lanh sam, thiet sam, kim sam (pinaceae family) etc. 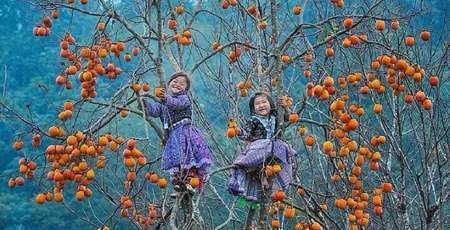 + From 2800m to 3000m, Fansipan’s ecosystem is in temperate-zone and that is home to mainly coniferous trees and sasa humilis. » How to reach the Fansipan Vietnam? 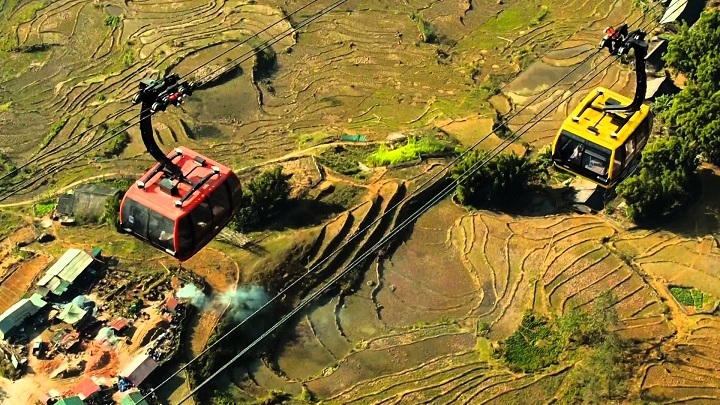 From Sapa town, you can take a motorbike taxi or drive a motorbike yourself to Tram Ton pass which is 3 kilometers from center cable car station. 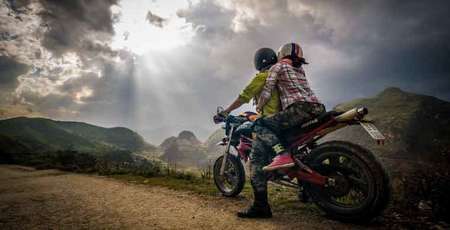 It ranges from 80,000 VND to 120,000 VND for a rented motorbike at the central bus station or at the hotel guest house. For taxi, the cost is about 40,000 VND to 50,000 VND. In other choice, tourists can walk from the town by following signs on the road (it takes you about 30 minutes). Each cale car’s capacity is enough for 30 to 35 people. 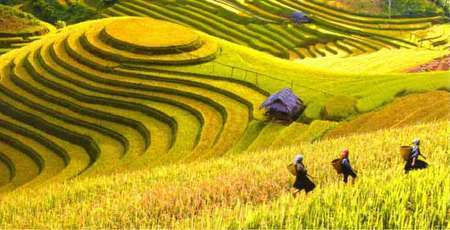 You will start from Muong Hoa valley up to the close-summit place. You may choose to travel by cable car to the top of the mountain then walk 600 steps to the top of the mountain or take the train instead. Train to Fansipan Vietnam top has only one cabin running both ways, with a capacity of 60 passengers per run. 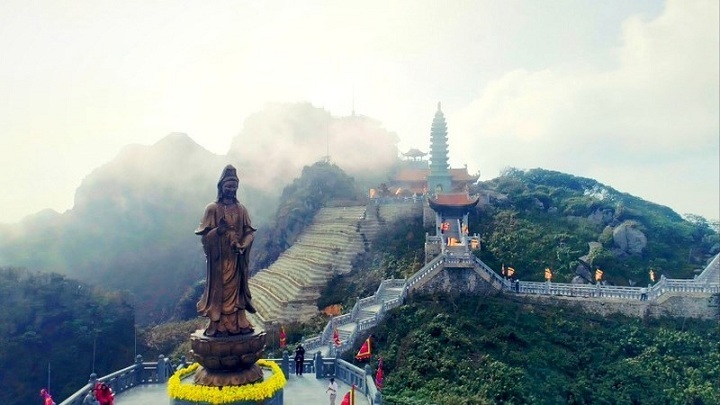 The railway to the summit is designed in the arc shape and go through a tunnel under the great Buddha statue, which brings visitors the feelings of suspense because of the difference in height and make them enjoy the whole view of nature from the top of Fansipan Vietnam. The train will run 228 meters long from Do Quyen station (near the pagoda) to Truc May station (at the bottom of the flag pole) with a height difference of over 100m in 2.5 minutes, bringing visitors up to near the top of Fansipan. 1. Small backpack which can carry about 4.5kg with strap and slings to keep the backpack firmly during climbing time. 2. A good pair of climbing shoes, you should prepare professional shoes if possible. 3. Sock: You should wear 2-3 pairs of crew length socks that cover the pants to prevent forest Haemadipsidae from biting your body. 4. Mountain-climbing gloves: You should bring a pair of protective gloves with plastic dots inside. Do not wear wool gloves or leather gloves because they will absorb sweat. A thin coat + a broad-brimmed hat + A big raincoat to cover the whole body. 5. Camera: Compact with a protective bag. Phone: You should bring old-fashioned cell phone but have the ability to catch the wave well and you’d better install Viettel sim card (Viettel has its best network in Vietnam). 6. Food: You need to bring all kinds of dried but still nutritious food such as cheese, fresh milk, snack and bread. 7. Utensils: Binoculars, whistles for contacting or signaling, torches, Salonpas patches used for pain leg caused by excessive exercise. 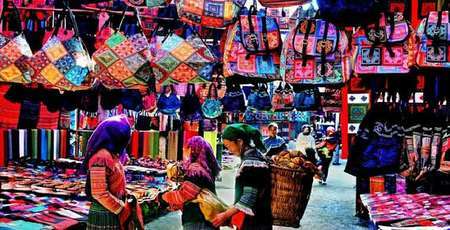 Enjoy your trip to Sapa and Fansipan Vietnam!